When someone says ‘Street Food’ what comes to mind? In the past, some would have said that it’s low quality food that doesn’t meet food safety standards. Is this really the case today? No. Street Food is a fast rising trend in the UK offering wide ranges of delicious cuisines. Let’s take a look at how it began, how it has developed over the years and why it’s a trend you need to be involved in. Firstly, who do we have to thank for this trend? Street food was invented by the Ancient Romans. During the Roman Empire it was common to see the Romans snacking on foods such as pies, salted peas, figs and stews after a long days work. Street food was an integral part of their daily lives, a necessity to keep up with their quests for power. How about now? The Food and Agriculture Organisation of the United Nations performed a study in 2007 that showed that some 2.5 billion people in the world eat street food everyday. Yes, people from all over the world are buying food on the streets for its convenience, affordability and authentic tastes. Similar to the Ancient Romans, the Chinese love to eat and are extremely hard workers. With many people having to work a 6 or even 7 day week, having access to affordable and tasty food wherever you are is a must. 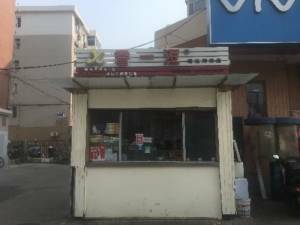 Street food carts can be found on almost every street corner selling delicious traditional drinks and snacks 365 days a year. 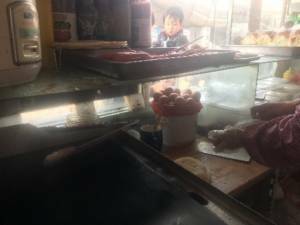 Not only does this provide many families with a way to make a living, it is a big part of the culture here in China, essential for their busy lifestyles. We talked to Jiang Jie, she’s from Shandong province in Northern China. 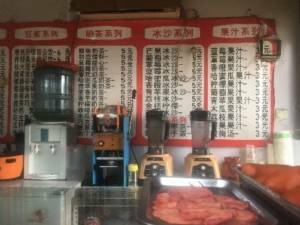 She’s been supporting her family by selling delicious traditional northern Chinese food and drinks from morning till evening for many years. Her friendly personality and delicious snacks are her secret to obtaining repeat customers! Now how about the UK? Street food began in England in the 17th century, at that time citrus fruits such as lemon and limes were popular on the streets. By the 19th century, with many French, Jewish and Italian immigrants flocking into England, the ranges of food available on the streets expanded playing a key part in the development of Britain’s culture and economy. Today, places such as Camden and Borough Markets are must sees for visitors to the capital. Known for their wide ranges of authentic foods at affordable prices they attract millions of people each year. Street food, designed for the busy on the go commuters, is affordable and yet able to suit many taste palettes and health needs. But the Street Food trend isn’t just limited to selling on the streets, it has become popular to set up carts at many events, shopping centres or even school and work canteens. Thinking of trying out this popular street food trend? 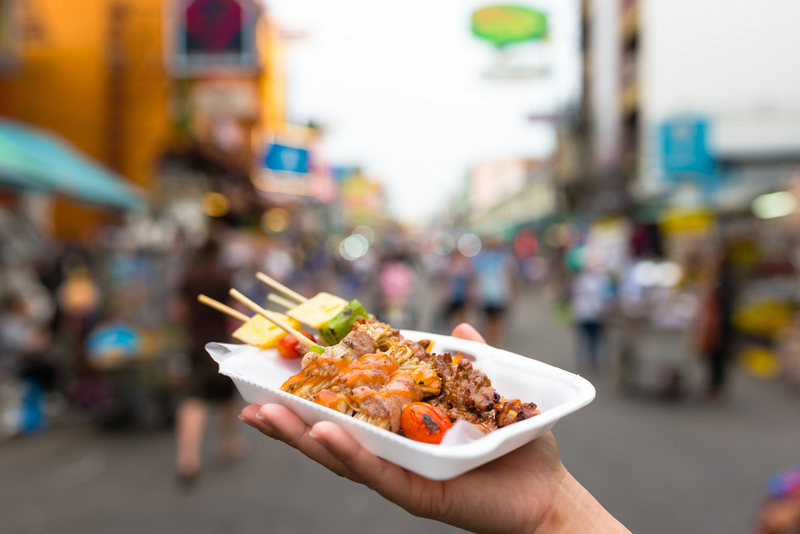 Look no further – we’ve created our top five street food favourites and with cuisines from all around the world, there’s sure to be something to take your fancy. This delicious yet sim ple to make snack makes it a popular choice at many events. 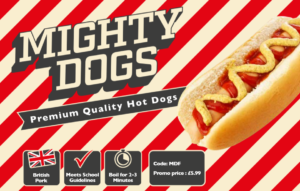 All you need is our Mighty Dog gourmet hot dogs, Crucials American style mustard and tomato ketchup, served on a soft bun topped with fried onions. It’s as simple as that! 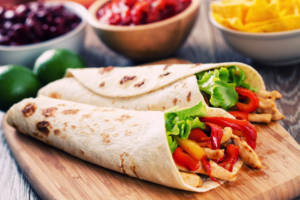 Fry up some onions and pep pers along with our Love Joes chicken fillets seasoned well with our wide range of spices, then spoon it into our soft tortilla wraps along with some fresh lettuce for that perfect Mexican wrap. Nowadays you don’t have to be sat in watching a movie to order a pizza. Allow your customers to grab a slice of cheesy pizza on the go. Using our fresh pizza bases, our spicy pizza sauce, wide range of meats such as Napoli salami, topped with our fresh/grated mozzarella you can create an authentic Italian pizza in no time! Asia – a large continent with a variety of different flavours and styles of noodles. 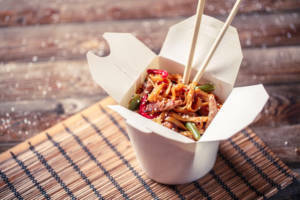 With our wide selection of fresh meats, all the spices you could possibly need and our egg noodles you can make different kinds of noodles from all parts of Asia catering to everyone’s taste preferences. 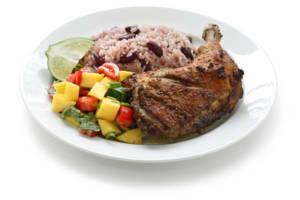 With our marinated Jamaican jerk chicken, chicken fillets, a wide ranges of spices and a choice of long or short grain rice you are sure to be able to make a quick yet tasty and authentic Jamaican dish. Just don’t forget the kidney beans for your rice and peas! But what about disposable cutlery, plates, bowls and napkins? 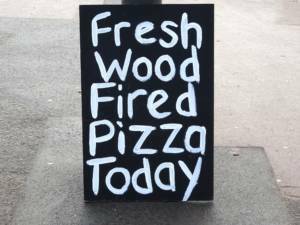 Look no further – Dunsters Farm has it covered! Call us today on 0161 763 7900 or email info@dunstersfarm.com for more information on our range of packaging and disposables. These are just a few ideas to get you started, visit www.dunstersfarm.com for your one stop street food shop.